We love a collaboration, and it's pretty cool when the brand Josie's Juice reps (well, Josie herself does) is asked to be a part of a food we pretty much all use daily: eggs. The business has has won some praise in industry circles and amongst consumers alike for their taste, quality and freshness. And, it’s all about his seriously free-range system. Converting his then 2500 acre Wagga Wagga farm to sustainable farming practises back in the 1990s, Murphy was one of the first to ‘let the chickens run wild” to seriously free-range it all. While he was taking INXS to the world’s arenas and stadiums, he always had his sights set on his vision to return to the land. Twenty years on, demand for free-range is prevalent, and the question on people’s lips when choosing a free-range product is, “what is free-range?" Says Murphy, “Back in the mid-90s, not too many people took notice or questioned free-range, sustainable farming or where their eggs, meat or otherwise came from. When I re-entered the poultry business back in 2012, I created my own system that we call seriously free-range. “I found that I could not find any certifying bodies that fulfilled the needs of the hens, so I created my own system. Free-range hen numbers should be determined by inspection where the hen’s welfare is number one; being inspected and approved on its merits based on whether it’s a movable fan, rain fall, soil types and pasture management procedures”. And a serious free-range system it is, keeping customers and foodies happy with eggs that burst with flavour and freshness. The right environment is provided for the Rock Chic hens, from laying conditions, temperature, the right packing procedure, minimal handling and nourishing, nutrient-dense feed. The “laid-to-order” (LOVE this concept and term!) 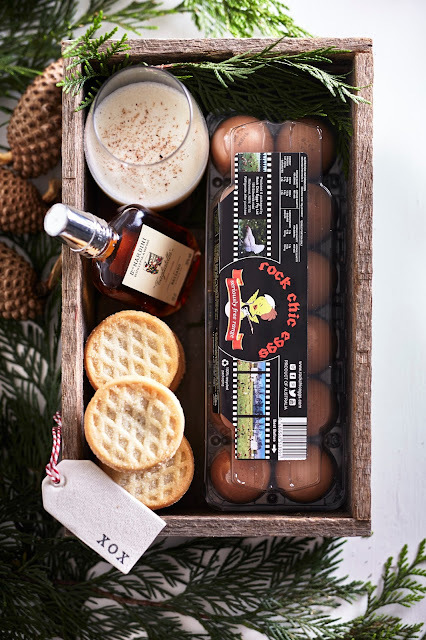 Rock Chic Eggs are packed in the paddock and delivered at a consistent room temperature almost straight away. 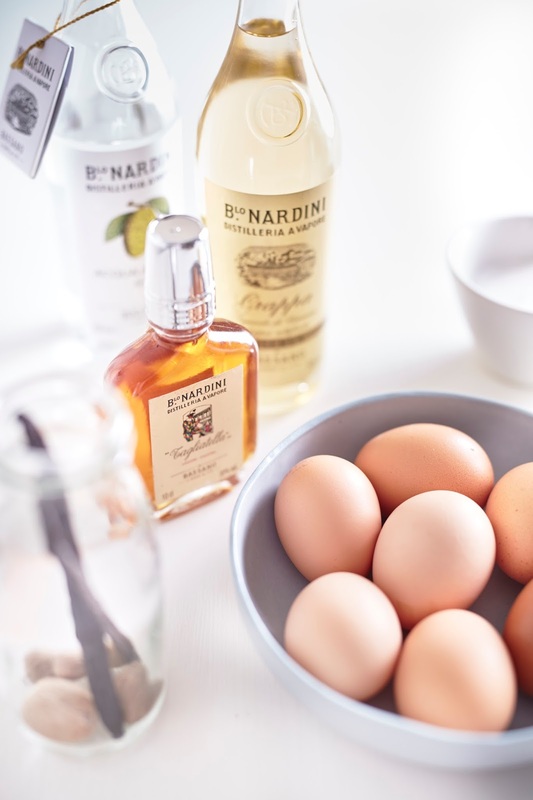 Customers receive the eggs a mere 12 to 48 hours after the eggs are laid in a true paddock-to-plate delivery schedule. Chefs who only want the best produce are taking notice, including Head Chef at Three Weeds in Rozelle, Nathan Jackson. Says Jackson, “When I first switched to using Rock Chic Eggs, the difference was immediate. Compared to other so-called free range eggs, they are on a different level. With an unbelievably bright yolk and strong inner white, you can tell these hens are living a great life. Paired with great customer service, invitations to visit the farm, and a dedication to true, free-range farming, I would recommend these eggs to any in the industry and at home. A truly great, local product”. To say seriously free-ranging is a passion of Murphy’s is an understatement. He has an open-gate policy that shows his customers exactly what goes on at his farm on the banks of the Hawkesbury River in NSW. Consumers can purchase Rock Chic Eggs at About Life stores in Rozelle, Bondi Junction, Double Bay and Cammeray. Log onto www.rockchiceggs.com for retail and industry updates. The Wog With The Grog, which is the consumer brand from Italo-Australian wine and food importer Euro Concepts, imports only the best brands into Australia, and one of its star products is the Nardini range, used in this recipe below. *Seriously, free-range Rock Chic Eggs can be purchased from www.rockchiceggs.com or from About Life stores in Sydney. 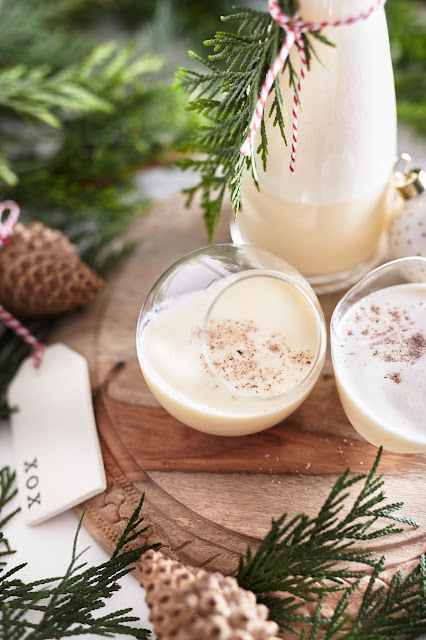 *We recommend using Nardini Tagliatella Liqueur for this recipe, as it has the depth of flavour you would expect from an amaretto, but it is more subtle and nuanced and perfect for a smooth, creamy eggnog. 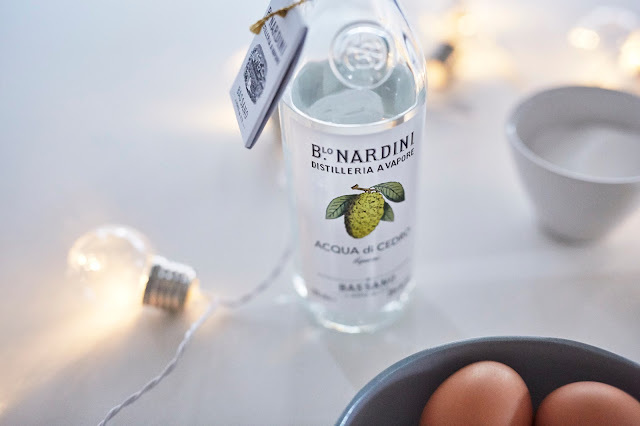 However, a standard amaretto liqueur or a Marsala may also be used. And voila! The finished product! Don't you just wanna lick that screen? Or, you know, get in the kitchen and make it? DO IT! It's super easy. Merry Christmas, y'all!